With 42 years of events coverage, the staff at County Lines Magazine are your Events Experts, bringing you the best local events! Museums, restaurant weeks, Easter egg hunts and more—the events in this blog are as varied as our readership. Have your calendar at the ready! For more events, check out the Events Page on this website. 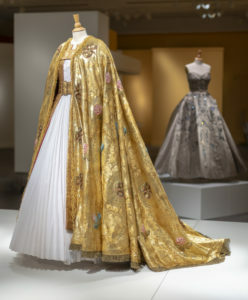 Fans of the hit Netflix series, The Crown will love Winterthur’s new exhibition “Costuming The Crown,“ featuring 40 iconic costumes from the show, a dramatized history of the reign of Queen Elizabeth II. Get a behind-the-scenes look at how costume design is used to create riveting drama and to reenact history. From the glittering gold of Queen Elizabeth’s coronation robe to Princess Margaret’s sophisticated wedding dress, explore the elegance and style of a bygone era from Emmy-winning designers Michele Clapton and Jane Petrie’s work on seasons 1 and 2 of The Crown. Tickets from $15–$30. More info at Winterthur.org. 5105 Kennett Pk., Winterthur, DE. Tues–Sun, 10 to 5. Want a sneak peek? Read our Assistant Editor’s take on the exhibit here. 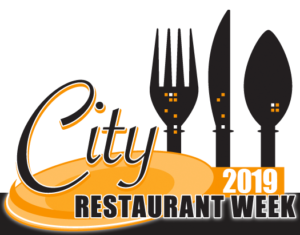 Catch the final days of Wilmington’s City Restaurant Week. With a fine dining scene dominated by owner-chefs and owner-operators, Wilmington offers a delicious lineup of choices at 15 restaurants. Not a chain restaurant to be seen! Offerings include everything from Thai to Chilean to Italian—and you get to sample creative cuisine at prix-fixe prices of $15 for lunch or $35 for dinner. So grab your friends and come out to see just what dining in eclectic, wonderful Wilmington is all about. Reservations suggested. Hop on over to the Easter Egg Hunt at Everhart Park on April 13 for a morning of fun for the whole family. Get there early, before the hunt begins at 10 a.m., to snap that gram-worthy pic with the Easter Bunny and to enjoy themed activities the kiddos will love. Two different age groups, kids 2–5 and 6–9, will hunt for more than 5,000 eggs filled with candy, toys and raffle tickets for a chance to win prizes. It’s BYOBasket. More info at West-Chester.com. 500 block of W. Union St., West Chester. Enjoy exquisite tastings from 25 award-winning chefs at the 22nd Annual Celebrity Chefs’ Brunch hosted by Meals on Wheels Delaware. Indulge in a morning of gourmet cuisine prepared by renowned chefs from across the country, including the James Beard Award pick for best chef, Alex Seidel. And there’s more than just food—fine wines, brunch cocktails, live entertainment and an exceptional auction are more highlights to enjoy. Take part in this delicious event to support Delaware’s homebound seniors. MealsOnWheelsDE.org. DuPont Country Club, 1001 Rockland Rd., Wilmington. 11:30 to 2. Tax day is rounding the corner. And while it’s important to get those documents in on time, it’s also important to protect your identity by properly disposing of financial documents. Luckily Key Financial is hosting a complimentary one-day document shredding event—perfect for taking care of this pesky task of secure document disposal. Shredding is a quick and convenient way to dispose of information and protect against identity theft. Not only is it great for security, but it also helps the environment, since shredded papers will be recycled. Mark your calendar for this key event! Key Financial, Inc., 1045 Andrew Dr. Suite A, West Chester. 10 to 2.